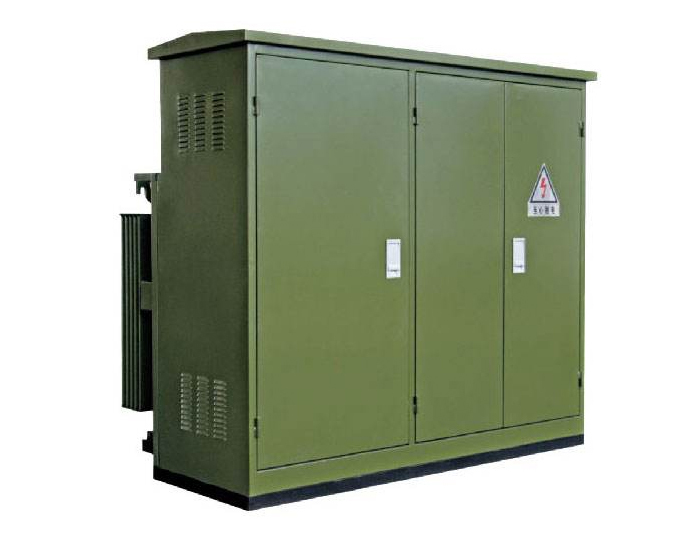 ZGS combined substation _ Jiangsu Zheng Wei Electric Power Equipment Co., Ltd.
ZGS series combined transformer is an American type transformer, which is developed according to the needs of urban and rural power grid construction, development and transformation. It is the large transformer, switchgear, fuse, tap-changer, low-voltage distribution equipment combination on the corresponding auxiliary equipment such as transformers, can satisfy the user electric energy metering, reactive power compensation, such as low voltage shunt all kinds of demands. As an ac 50Hz, 6~10kV network, ZGS combined transformer is an independent set of transformer and distribution device with rated capacity of 63~1600kVA, which can be used both outdoors and indoors. It is widely used in industrial parks, urban residential areas, commercial centers, high-rise buildings and temporary construction sites. 1. Small size, compact structure, small area and convenient installation. 2. Low loss, low noise, low temperature rise, strong capacity load capacity of the super nameplate, strong anti-emergency short circuit capability. 3. Fully closed, fully insulated structure, safe and reliable operation. 4. Flexible connection mode, which can be used in both terminal system and ring network system, facilitates the conversion and improves the reliability of power supply. 5. Convenient operation, convenient maintenance, short production cycle and low project cost.